With over 60% of home buyers choosing a realtor based on online reviews, it’s essential that real estate agents use reputation management for building word of mouth referrals. Real estate agent reviews provide consumers the social proof they seek when trying to choose an agent that might be right for them. They want someone they feel comfortable with, since it involves the biggest purchase they’ll probably ever make. A home is personal, and consumers want a realtor that understands that. Customer feedback found on reviews are like endorsements, and these referrals help consumers with decisions not only for selecting a real estate agent, but just about everything. Much of the customer experience will determine your ability to get more reviews and earn word of mouth referrals. While it might not come as a surprise to many, it’s cyclical. Great customers service increases your odds of clients reciprocating when you request a review, and those create more referrals, which you could become your next clients. When it comes to review sites, Yelp is one that most businesses can’t afford to ignore. While you might think that requesting reviews on Yelp from anyone and everyone you can think of is the path to success on the site, we’ll share the inside scoop. If you want to do well on Yelp, it’s those that already have an established account with connections and other reviews that will do well. If you ask people to sign up there and leave a review, it’s unlikely that they’ll show up. Yelp filters their reviews and the ones with little activity or connections typically don’t appear. The best approach is to provide the option of a few websites to leave reviews. Those that already have an account on Yelp will often choose it on their own. In addition to review websites like Yelp or Zillow, when your average consumer searches for info online, more than half of it is related to local products or services. While some of these sites might appear in local search, above that is what’s referred to as the 3-pack in local search, and it’s these results that often get a considerable amount of clicks. To appear in Google My Business (GMB) requires registering your business, verifying your listing, and adding your details. If all this is new, GMB is the place to start. It’s clear that Facebook is another essential place for realtors to appear if they want to make the most of referrals. When it comes to reviews on Facebook for realtors, make sure that you have the tab turned on in your settings or visitors to your page won’t have an option to leave reviews for you. Being the largest real estate website, having a presence on Zillow is practically mandatory. In terms of realtor review sites, Zillow is a behemoth and can be a huge source for lead generation. In our study Rating the Review Sites we looked at the top performers. While it’s essential to appear on websites like Google My Business, Facebook and Yelp, there’s a few others to consider. When it comes to real estate review sites, Zillow, Realtor.com and Trulia came out on top. A few things for realtors to keep in mind when it comes to online reviews. It’s not just the overall rating or volume, which are both important, but also the recency of your reviews. For many consumers, if your reviews are older than 3 months, over 70% believe they’re not relevant. Also, not only for the sake of having recent reviews, but the more reviews you have is a way to take care of reputation management. When you have a negative review happen, which is often inevitable, a profile with more reviews would see less impact from a negative review than one that only has a handful because it’s based on averages. 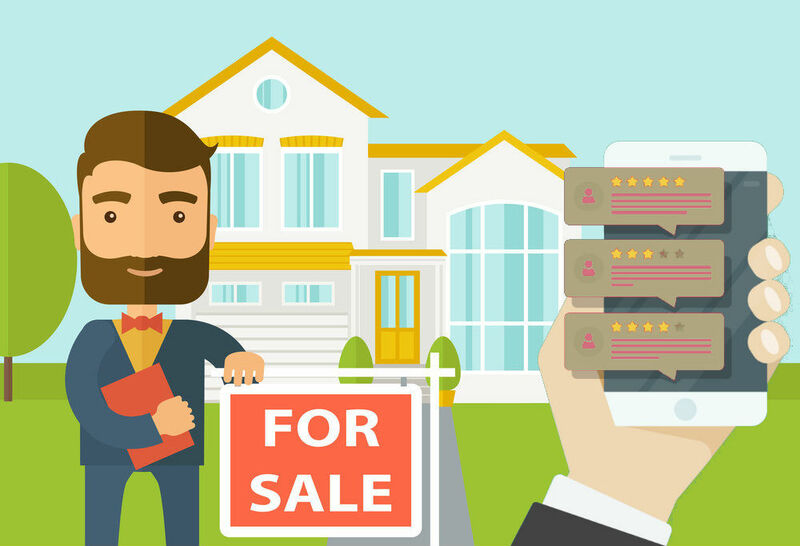 While online reviews are an essential part of marketing, there are more lead generation opportunities for real estate agents to explore.